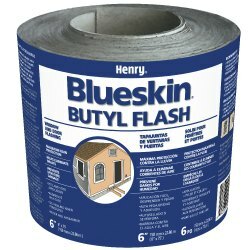 Keep the weather outside with Butyl Flash. Its a concealed peel-and-stick membrane installed around windows, doors and joints in sheathing to protect against water, air and moisture infiltration. It has an agressive high tack, is self-sealing when punctured, and it is compatible with a majority of substrates without primer. We’ll gladly assist you in making your next purchase. Chat LIVE with a service agent, using the chat window at bottom of the site. We’re available for our customers Monday through Friday, from 7:30 am until 5pm EST.